"Thank you for doing such a beautiful job in our house. The floors are amazing. I'll be happy to recommend you anytime." Simple care and maintenance of your floors will prolong the life of your floor. 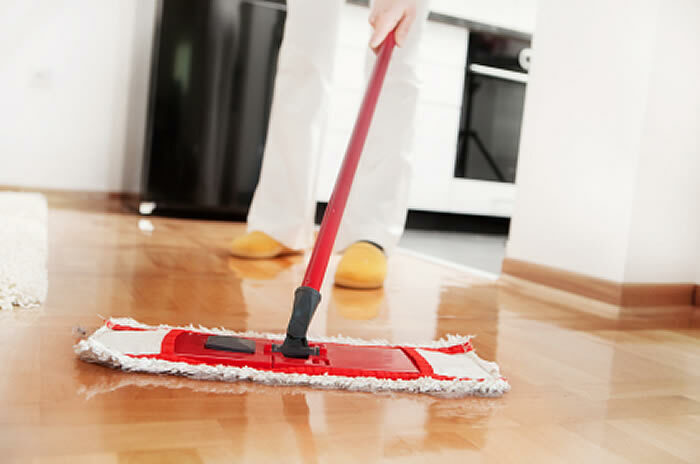 Dust mopping or vacuuming every day or every other day will remove fine dirt and grit that gets between shoes and chairs; this dirt and grit could possibly scratch the floor. Damp mop frequently as well. When damp mopping – do the above process first, then mop or wipe your floors with a rag using any of the following: water, water and vinegar or hardwood floor cleaners such as Bona or Poly Glow. Never wax a surface-finished floor or use an oil soap; you could actually cause damage to your floor using either of these products, to the point where your floor may need to be re-sanded. Preventing scratches from occurring will also preserve the life of your floor. Place mats at doorways or area rugs in high traffic areas to help protect your wood floors from dirt and grit. Place felt pads on the feet of your furniture to prevent scratching of your floor. Putting pads on kitchen chairs or bar stools, for example, will keep the floor from getting damaged when pulling the chair in and out from a table or bar. They are also ideal for any furniture you will be moving when vacuuming or dust mopping. Copyright 2011-2017. Ed Hoffman Floor Service. All rights reserved.